AppCoins News Update, or ANU for short, is a regular bi-weekly update by the AppCoins team. As usual, we are going to cover dev updates, market reports, team members and upcoming events. 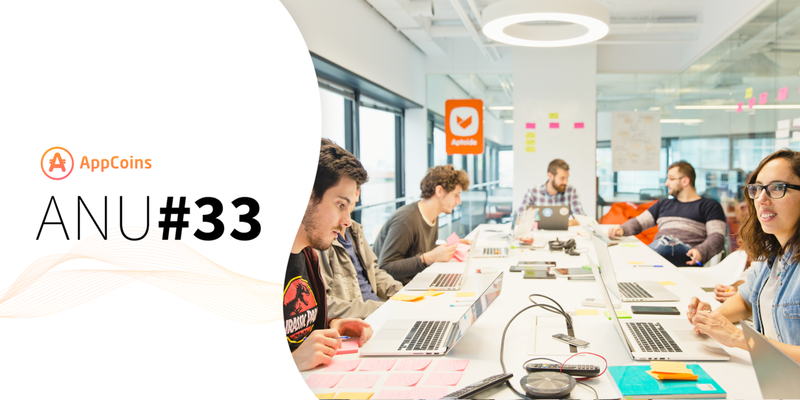 This week’s focus is on the latest Wallet improvements, the Kernigham Release and the new features it provides users, as well as the APK Migrator Tool — an automated process that helps developers migrate easier onto Catappult. Since our last ANU, the team has been very busy working on what was already mentioned in our previous article, the Kernigham Release. We were able to release the new version of the wallet with features that we believe to be essential. These include giving users the best tools to appreciate their favorite games (Send AppCoins Credits and Top Up Wallet) and the option to gift a family member or peer with AppCoins Credits so they can enjoy they favorite application (Ask Someone to Pay). We are working hard on making sure the latest improvements we made on the AppCoins Wallet are the best solution for our users. This is why our team has already started working on these improvements. However, it was not just our features that deserved our attention when it came to updates. We also wanted to make sure that our user interface gets the attention it deserves. Updates and additional details regarding this will be included in our next Dev Update. Although it was not mentioned in our last ANU, the APK Migrator is still a very important part of our team’s effort to provide a great tool for developers to be able to integrate with our billing system. In the last couple of weeks, we have focused on improving the success rate of the APK Migrator tool by developing new rules. One special set of rules that we consider in a advanced state of development is focused on applications that integrate Unity’s obfuscations mechanism for security purposes. Since security is also one of our main concerns, we wanted to make sure that developers who want their applications to be secure are not penalized by not being able to use our migration tool. We hope to give you good news regarding the APK Migrator Tool in upcoming updates. 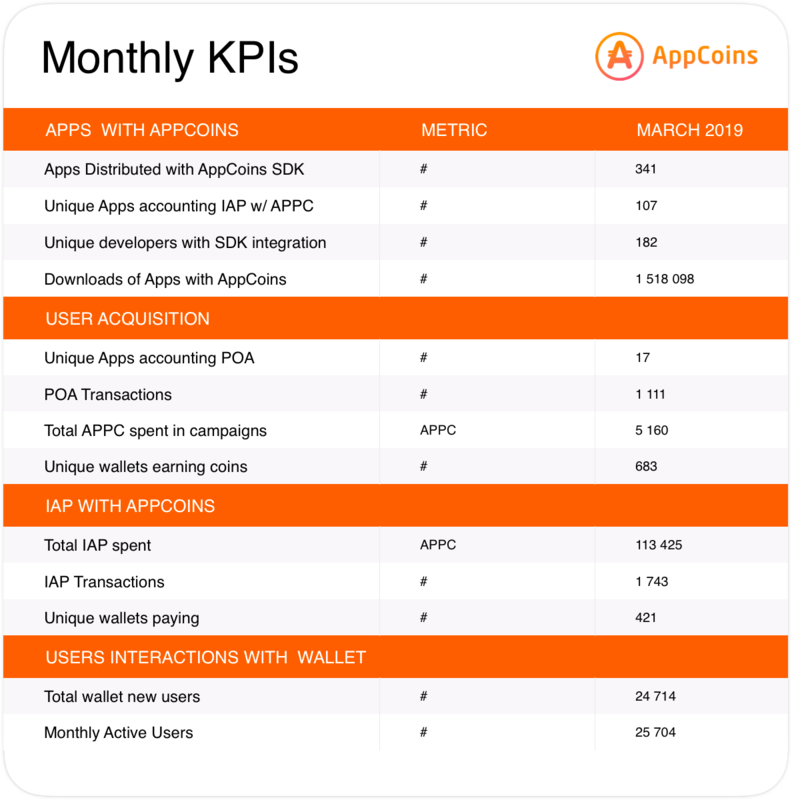 Following last month’s protocol KPIs performance, on this ANU we have collected the values from March, regarding both flows using AppCoins, IAP and User Acquisition, the number of apps downloaded with the integration of AppCoins as well as indicators from the SDK, as the table shows below. 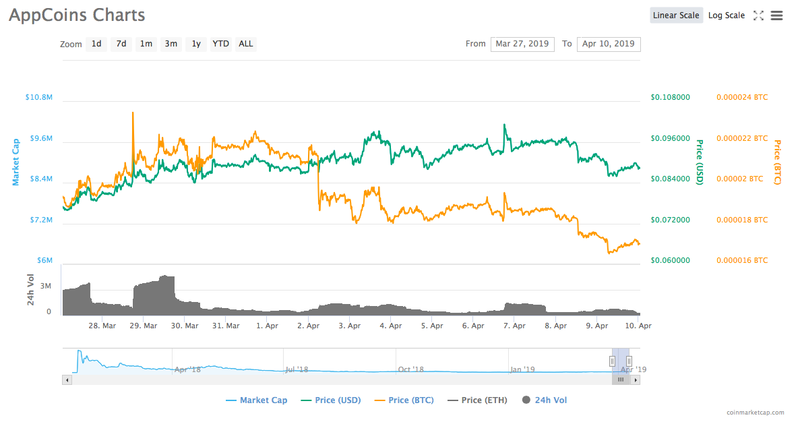 At the time of writing, the current market cap is close to $9.03 M USD, with $350.87 K USD in volume in the last 24 hours across these exchanges: Binance (93,20%), Huobi (6,72%), HitBTC (0,08%). Since the last ANU, APPC value has witnessed a high of $0.100 USD on Apr 6th, and a low of $ 0.076 USD on Mar 27th. You can see more info about APPC markets at Coinmarketcap. 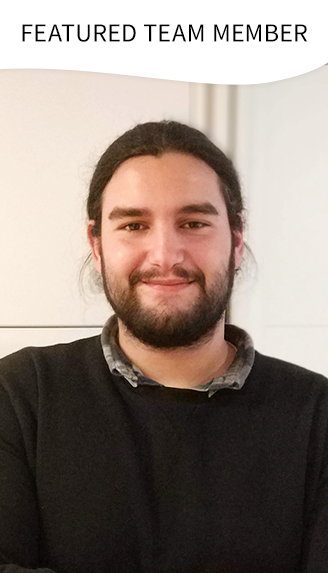 Bio: Nuno recently joined the AppCoins team to collaborate on the APK Migrator Tool project. His work is mostly focused on reverse engineer submitted apps that help improve the migrator’s engine with new rules. The AppCoins team will be attending Chain Plus a blockchain brand summit led by The Blockchainer — a global multi-node super incubator. Chain Plus focuses on bringing the latest and most cutting-edge information services and resource integration to the industry, and on promoting the blockchain industry. The event has been held across many cities in the world including New York, Berlin, Shanghai, Seoul, Tokyo, and others. This time it will take place in Singapore between 11th — 12th of April and you can count on us being there! We will also be attending Asia’s first part conference and part experimental blockchain festival — Block Live Asia — between the 18th–19th of April 2019, also in Singapore. With 60+ speakers from both blockchain and more traditional companies, and over 10 workshops on all things tech (including AI and AR games), Block Chain Asia is the perfect place to mingle among experts, enterprises, educators and students alike. If you are attending either event and want to learn more about the AppCoins Protocol and Catappult, get in touch with our Asia Pacific VP, Tiago Alves. He’ll be happy to answer any questions you might have!